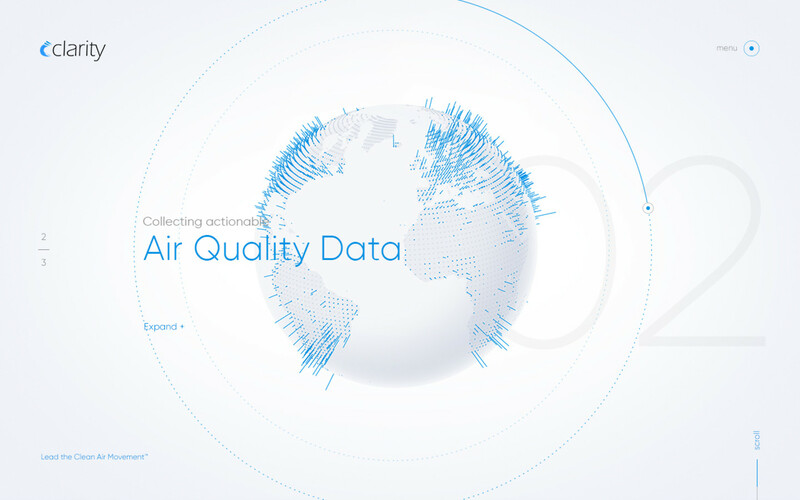 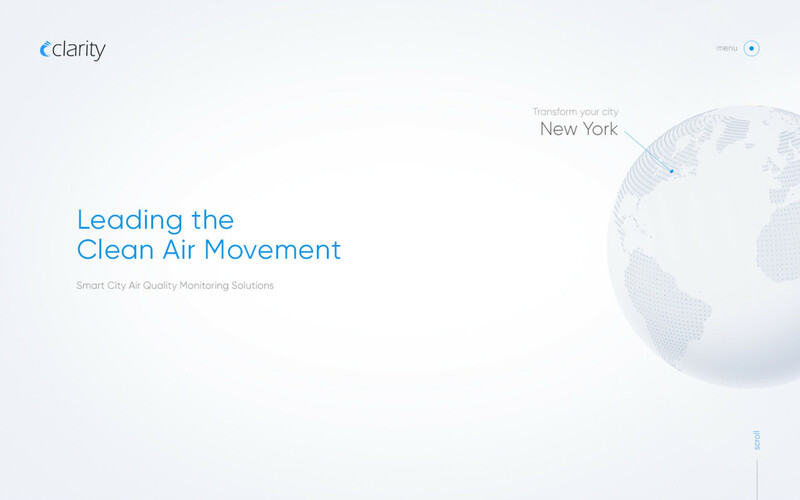 Clarity delivers truly actionable air quality monitoring aimed at transforming how cities worldwide understand and tackle air pollution. 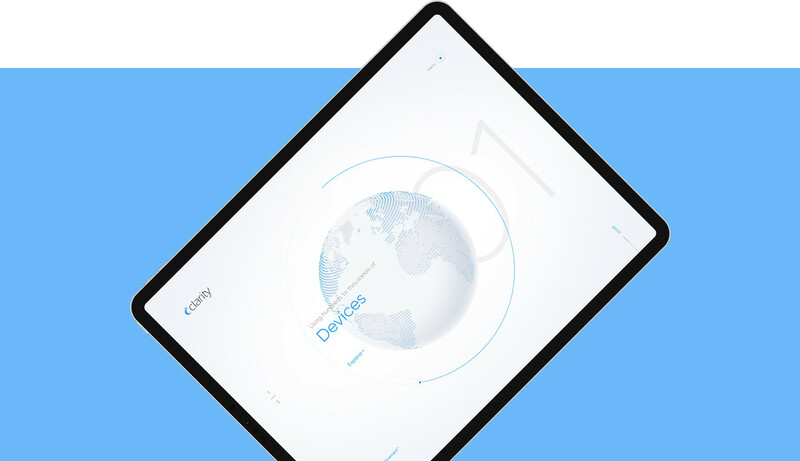 We teamed up with Clarity to turn a complex value proposition into a compelling brand story that is easy to digest. 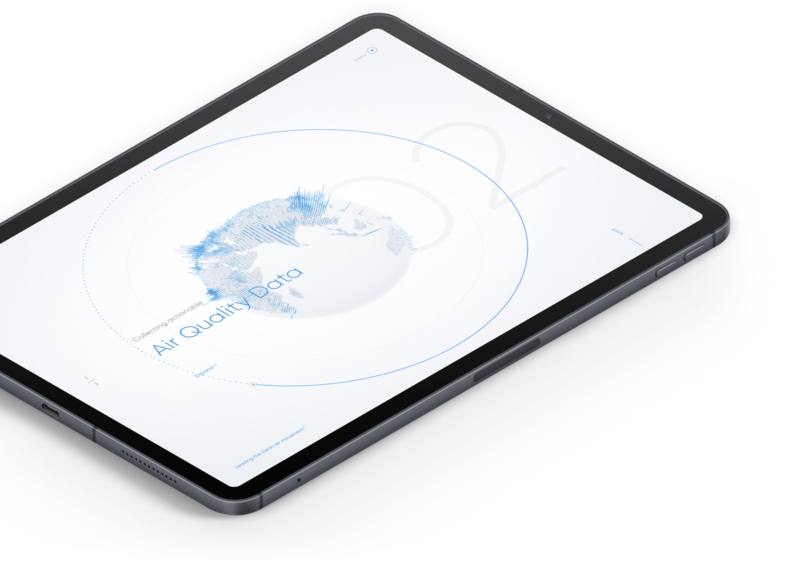 Inspired by Clarity's innovative technologies, we wanted to push the boundaries of design and development. 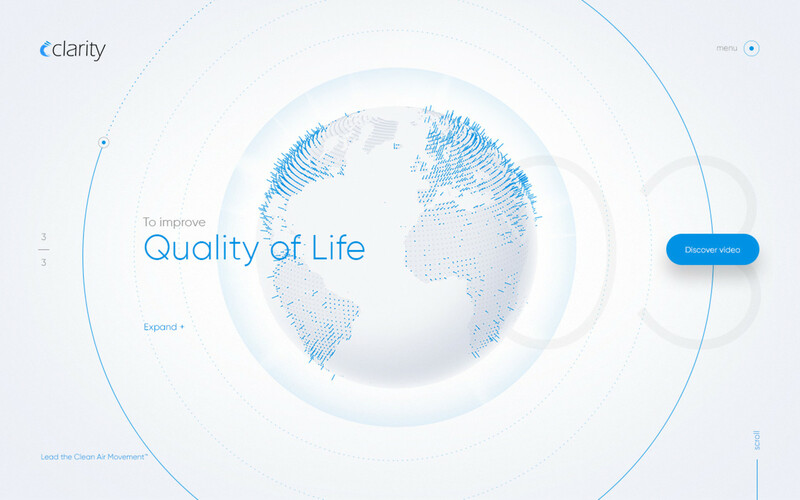 To communicate the global impact without overcomplicating the technology, we designed an interactive globe and used WebGL to render real-time interactive 2D and 3D graphics directly in any browser. 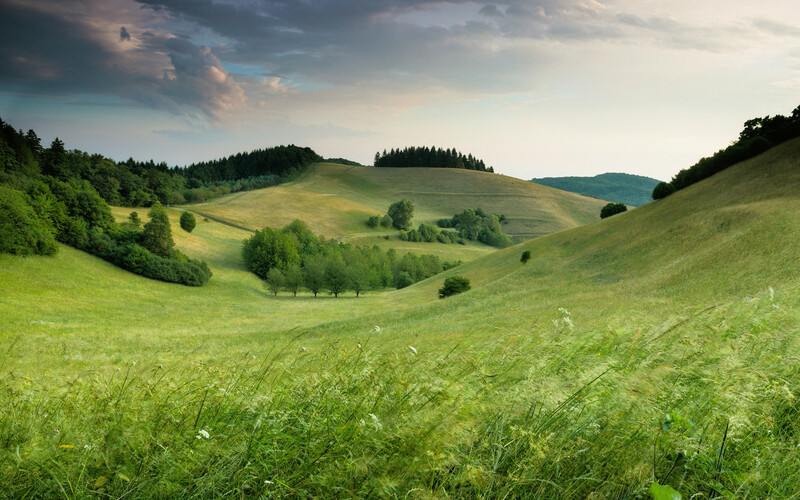 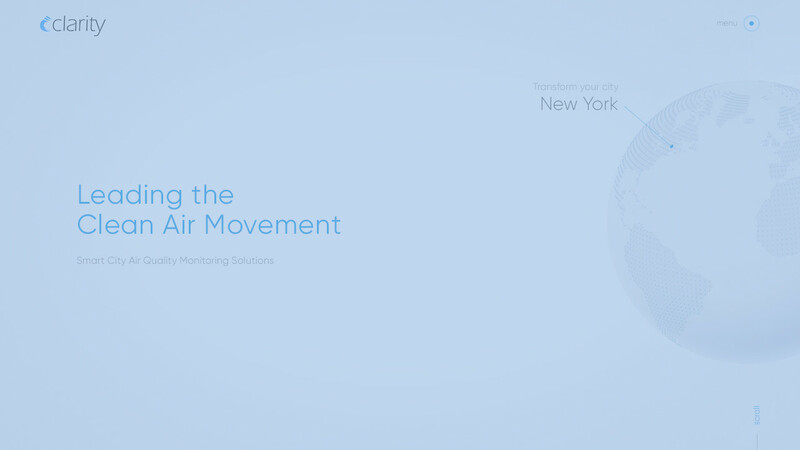 Clarity is focused on innovating technology to create cleaner air. 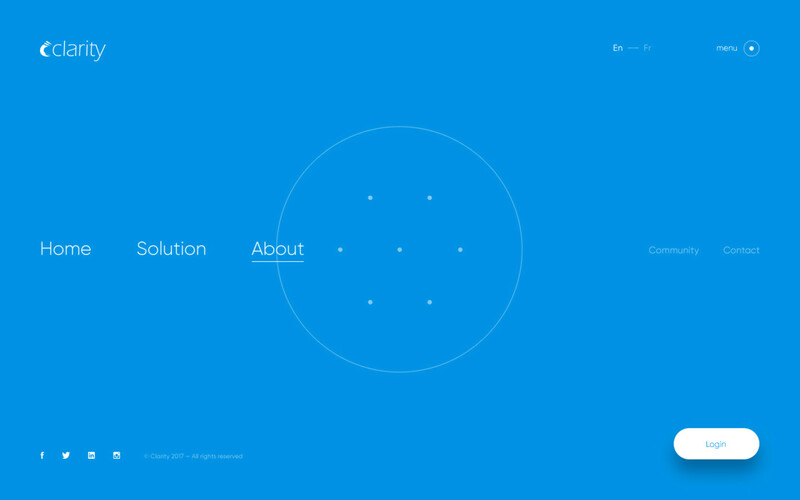 These core themes inspired the design of the site which pairs a clean, airy yet technical art direction with forward-thinking web technology. 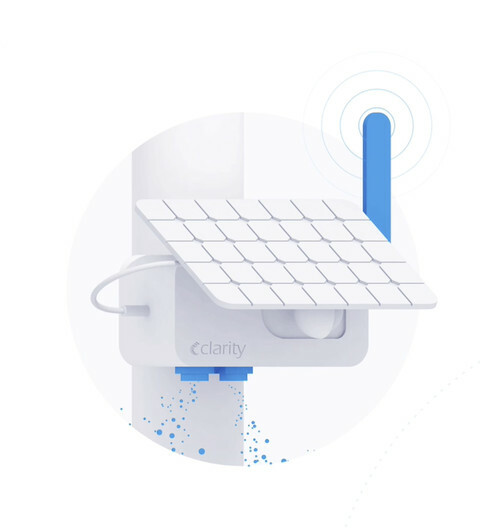 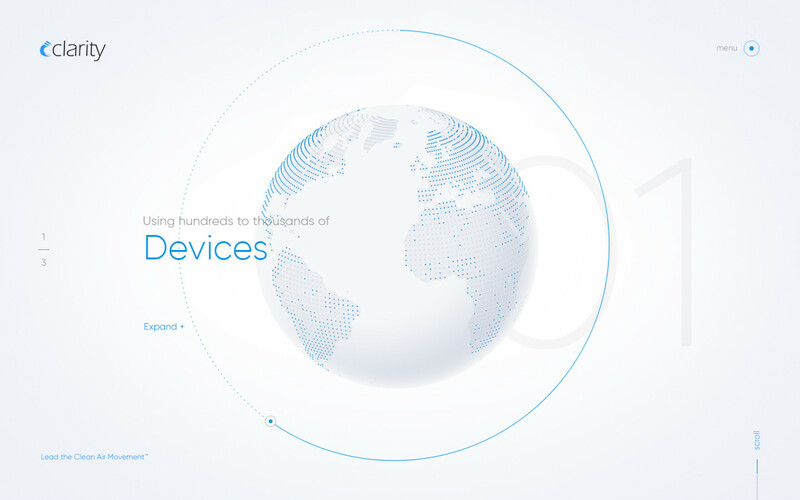 We created 3D assets to visually demonstrate how Clarity integrates Internet of Things hardware with machine learning algorithms and cloud-based data analytics. 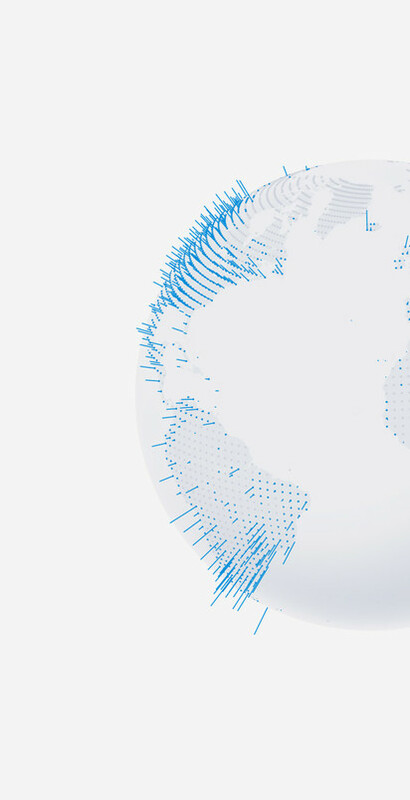 Since technology can often leave out the human aspect of the story, we wanted to display the faces of passionate engineers and scientists behind the brand. 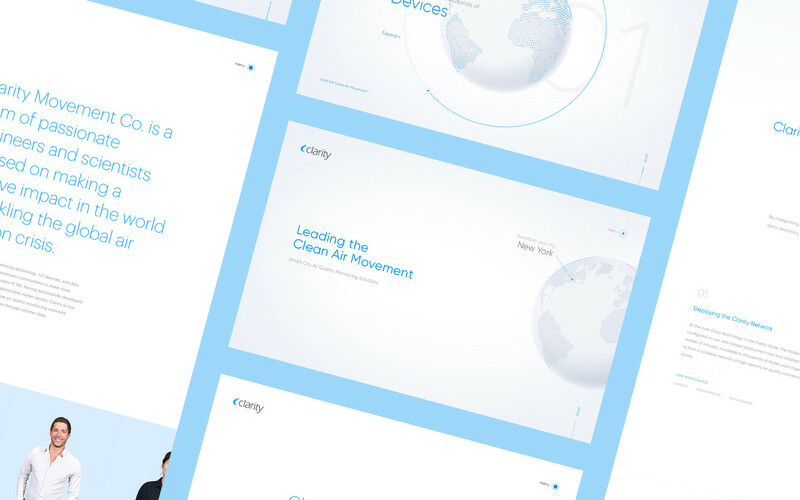 We translated the Clarity team members and headquarters into valuable brand assets to maintain visual consistency across all communications.